This week is take TWO of the PR Word of the Week. This week, we talk about a word found not only in PR but in journalism too. And seeing as our two industries work together very closely, it is important to understand journalism lingo as much as PR lingo. A double-ender refers to a type of interview between the host of a TV program and a spokesperson. Generally, the TV host is in studio and the spokesperson is on location (i.e. their dealership, their office building, special landmark, etc.). The interview is done live. 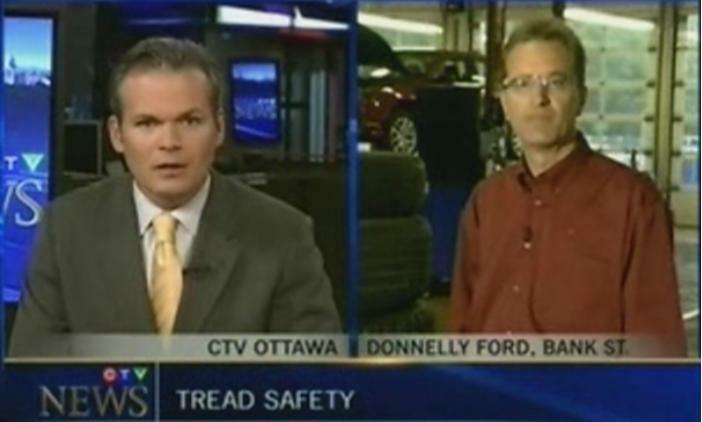 CTV does a double-ender with a representative of Donnelly Ford. This entry was posted in PR Word of the Week and tagged PR, PR Word of the Week by Kristine D'Arbelles. Bookmark the permalink.